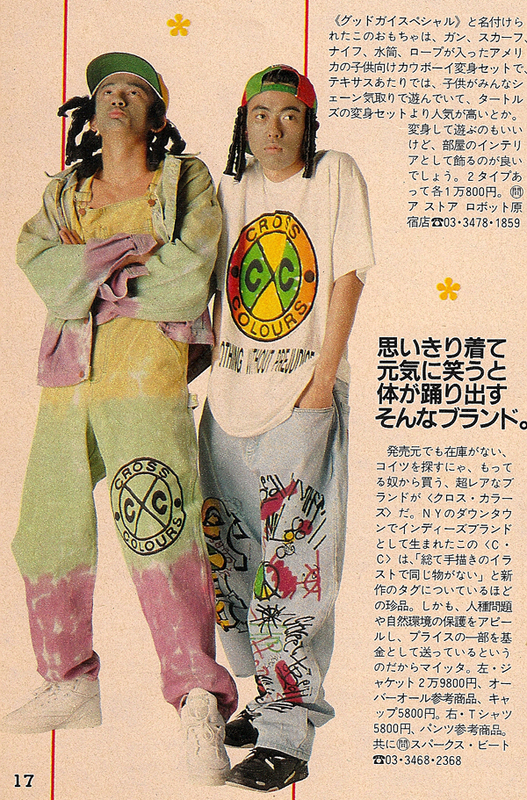 I promised this earlier: on the right, a very young Tomoaki Nagao — aka Nigo from A Bathing Ape — posing in Cross Colours, fake dreads, and semi-blackface in the October 2, 1991 issue of Popeye. 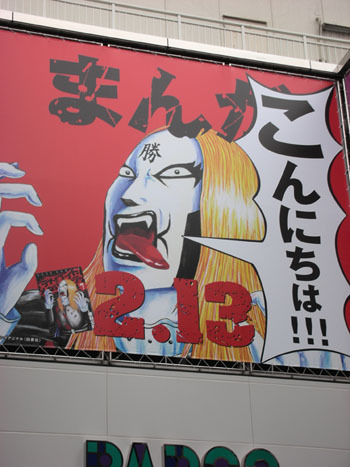 I knew that Nagao used to work on the “Pop Eye” pages in the front of the book, but I never knew he showed up as a model. Best Bloggers in Japan! Wait, seriously? Here you have it folks: the best of the Japanese web. Anyone else feel underwhelmed? Seriously, the second best is a site that gives you the most basic common-sense information about pregnancy. I don’t want to use the word “ugly” for the featured blog formatting, but is there a law or something against breaking preset template in this country? How many years until there are “professional-grade blogs” with mass readerships that are not horribly-corrupt product-placement schemes, fake celebrity diaries written/vetted by mangers, or re-prints of tech press releases? 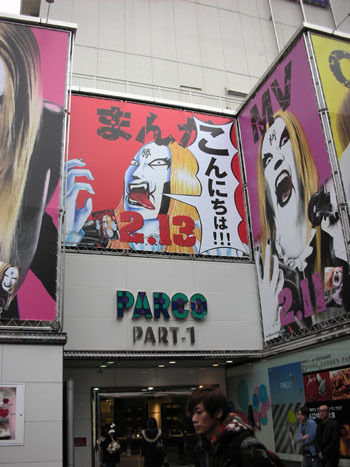 Maybe the Japanese are not paranoid of the internet: they are just bored. For some reason last night, I became convinced that photographer Araki Nobuyoshi and Dragonball Z’s Master Roshi (aka 亀仙人) looked exactly the same. On closer inspection, I am crazy. Listening to Shiina Ringo’s Shouso Strip at the moment, which isn’t even my favorite Shiina Ringo album, and it so clearly destroys anything that has come out of the Japanese pop music scene in the last six years. This album should sound dated and terrible — that’s how pop culture works — but the total stagnation of J-Pop makes it sound like some kind of futuristic gift sent back in time from an altrusitic advanced civilization. “Gibusu” is like ideal utopian socialist fantasy of a J-Rock ballad. Many deride necrophilic obsession with the past, but what do you do when the past so clearly and objectively kicks the present’s teeth in on a daily basis? The collapse of this pop culture thing has made us all Classics majors and historians. For more on “Engrich,” look here. 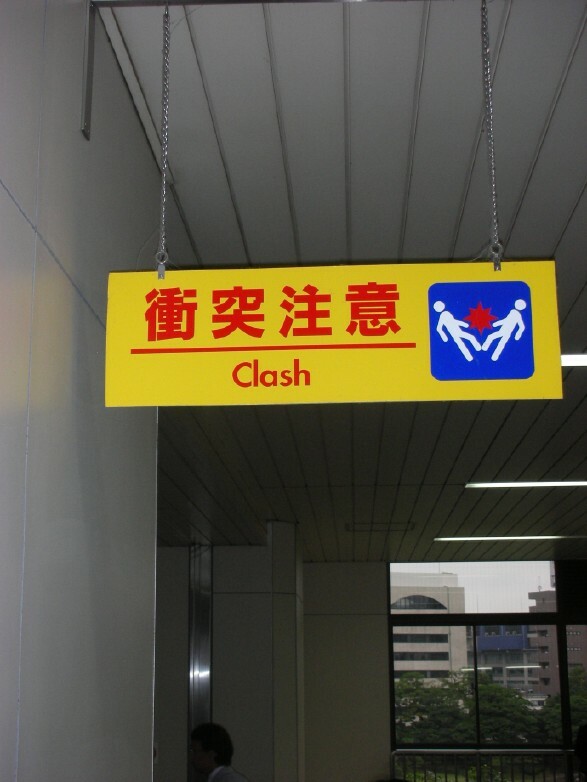 Technically, 「衝突」 can be “clash” but I am not sure this is such a great translation — functionally speaking. In terms of coolness? Check-plus-plus. I was just looking over my senior thesis about A Bathing Ape, and in one part, I mention that Nigo was on the cover of three street fashion magazines — Boon, Asayan, and Thrill — in August 2000. During the summer of 2000 when I did the core of my research, all the fashion elites I interviewed said “Ape is dead,” but I felt that these magazine covers questioned the validity of that statement. Anyway, I was shocked to realize that none of these titles still exist. Boon changed to B. earlier this year and then ceased publication for good. Asayan was the street fashion magazine of the Ura-Harajuku movement, so I can see why it drifted into obscurity sometime in the early 21st century. I don’t even remember what Thrill was about. Not that this observation really means anything, but I tend to forget how different the media landscape was just eight years ago. I often note that A Bathing Ape almost never appears in mainstream fashion menswear magazines, but maybe that’s because all the pro-Ura-Hara ones went under.